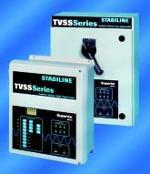 Transient Voltage Surge Suppressors, Stabiline TVSS Series | T.M.I. 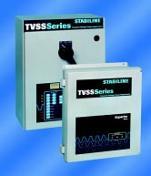 Stabiline® Transient Voltage Surge Suppressors , up to 300,000Amps suppression with 7 year warranty, evenagainst Lightning Strikes. Ideal for Braodcasting. 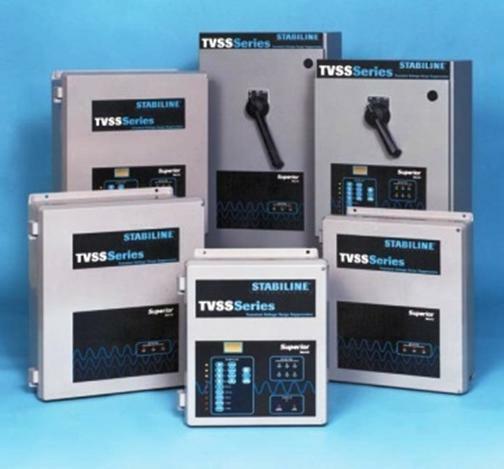 Stabiline® TVSS Series Transient Voltage Surge Suppressors withstand transients of large magnitudes and are suppression filter systems capable of enduring repetitive transient conditions, even Lightning. 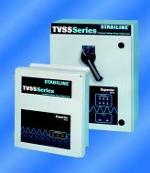 Stabiline Transient Voltage Suppressors. Reliable data sources illustrate that some “non-typical” current magnitudes may be in excess of 200,000 Amps. Additionally, lightning strikes often consist of four to six consecutive “hits” and may be as many as 40. Therefore, suppression filter systems must provide adequate protection to ensure that such events do not cause failure in the act of duty. Superior Electric products are designed to function as “permanent protection” when properly selected, applied and installed. In addition to withstanding transients of large magnitudes, Superior Electric suppression filter systems are built to endure repetitive transient conditions. Recognizing that MOVs are finite elements when exposed to high currents, it’s easy to understand the importance of ensuring that each MOV is never stressed beyond life threatening limits. 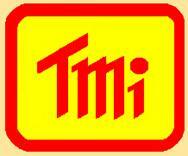 The only method of increasing MOV life expectancy is to reduce current exposure. Superior Electric’s TVSS units are designed with precise current sharing capabilities that will survive the routine transients while maintaining enough “horsepower” to handle episodes of large, catastrophic magnitude. 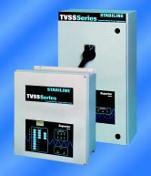 TVSS Series: Simple to select, easy to install. All Superior Electric suppression filter systems are manufactured and classified in accordance with the transient surge environments and surge severity guidelines specified in ANSI/IEEE standard C62.41-1991. There are charts available that define ANSI/IEEE specified transient exposure levels, describing typical applications suggesting the appropriate TVSS product for each. There is also a facility diagram representing the variety of exposure levels found within a typical building. Warranted to be defect-free and performance-guaranteed for up to 7 years — even against lightning strikes. Unique suppression and filtering properties of key components — MOVs, polypropylene capacitors and precise component geometry — are combined and maximized to deliver extended performance and reliability. Advanced suppression filter assembly eliminates PCB trace failures, enhances current sharing by minimizing impedance, conducts cumulative current via all-copper bus, then distributes to multiple MOV paths; individually fused MOVs. 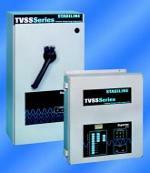 Suppression filter assembly enables TVSS models to provide unmatched performance and reliability. Unlike printed circuit board-based technologies, Superior Electric’s patent-pending Failure-Free Integrated Suppression Bus is not dependent on PCB traces to carry full magnitude current. Instead, surge current travels on copper bus bars to multiple MOV (metal oxide varistor) paths, PCB trace failures are eliminated while current sharing is enhanced by minimized impedance. Monitor output connectors — real-time monitoring of all modes • Heavy-duty filter capacitors ensure industry’s best high frequency noise and transient filtering • Solid copper bus construction — cumulative surge current is carried on copper bus bars, thereby eliminating reliance on PCB trace to conduct full magnitude current • Fuse sensing circuitry • Internal fusing for uninterrupted protection at higher surge current levels - UL 248-1 Recognized fuse array rated at 200 kAIC (patented) - All paths and elements protected via fusing - Expanded safety and reliability via a fuse block array that prevents “cross-arcing” which may occur in designs without independently isolated fuses • Separately fused MOVs — ensures seamless product performance in event of single MOV failure • Power terminals • Sand-filled moulded polycarbon suppression filter assembly enclosure • Direct bus connection • NEMA 4X fiberglass reinforced polyester or NEMA 4/12 metallic enclosure (with integral disconnect option only) • Phase indicator lights (3) • Safety interlocked entry door • All-modes protection. 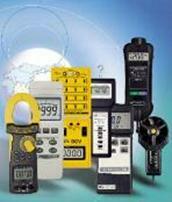 Safely removes unit power to facilitate testing, maintenance and inspection. Disconnect option includes metal enclosure. Safety interlocked to prevent accidental exposure to energized components. Phase indicator lights and Form “C” dry contacts for remote monitoring. Phase indicator lights, LED numeric display, Form “C” dry contacts, audible alarm, alarm disable switch, alarm disabled indicator, alarm reset and test switches, phase and filter LED status indicators, real-time notification of % protection status, % protection warning, N-G voltage, N-G current, capacitor fuse status, RMS voltage, sags, surges, dropouts, outages, disturbance counter and non-volatile stored data. Provides easy monitoring of Failure-Free Integrated Suppression Bus components: percentage of protection; phase, filter status; N-G voltages and currents. Battery operated. Features & Benefits: • Economical and easy-to-use • Senses percentage of protection available • Monitors neutral-to-ground voltage and current. 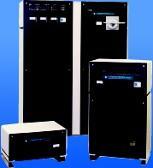 Series suppression filter systems and checks the neutral-to-ground integrity. 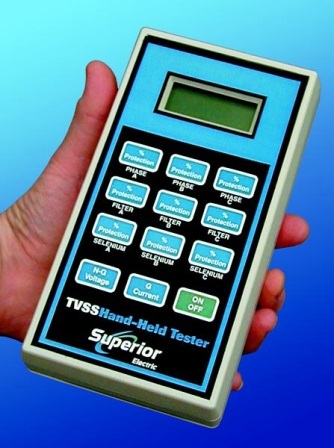 TVSS Hand-Held Tester tests and reports these critical conditions and displays the results on its large LCD display. Neutral-to-Ground Current Sensing: The RMS voltage measured across the neutral and ground alerts the operator of a possible neutral-to-ground bonding problem or asymmetrical load within the distribution system. Current detected on the ground conductor could indicate excessive leakage through the surge suppression device’s neutral-to-ground path - a truer indication of neutral-to-ground voltage MOV degradation. 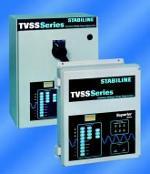 TVSS Hand-Held Tester’s neutral-to-ground voltage and ground current-sensing features are invaluable tools for monitoring the overall well-being of a distribution system.